Check out this Fornite guide & tips on how to complete the Fortnitemares Part 4 Challenge "Destroy 3 Cube Fragments" including Cube Fragment locations and tips and tricks to destroy them! 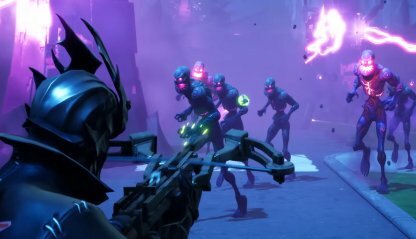 Check Out Fortnitemares Challenges Guide! 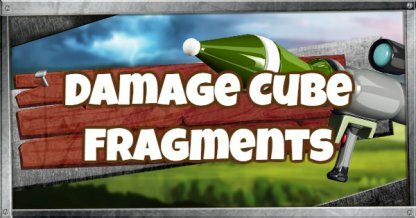 Where To Find Cube Fragments? 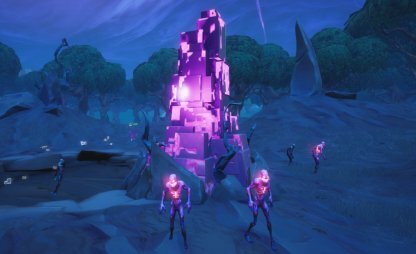 Cube Fragments are big and purple Cube pieces in the map that generate Cube Monsters. They are damageable and can be destroyed. Check Out What Are Cube Monsters! 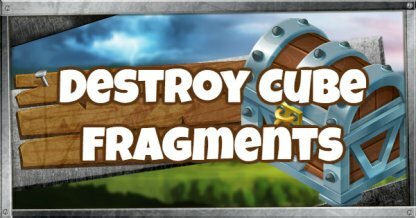 When destroyed, a Cube Fragment will disappear and drop gear that can help you fight or survive longer! 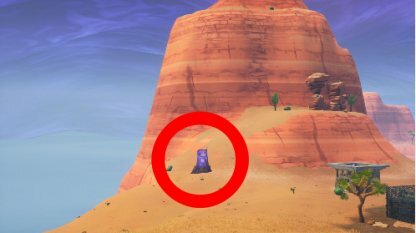 This challenge is part of the Fortnitemares Challenges Part 4. You need to destroy 3 cube fragments to complete the challenge & earn the XP reward. 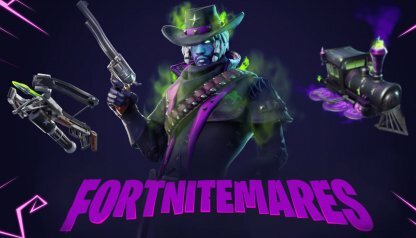 Check Out Fortnitemares Event Guide! 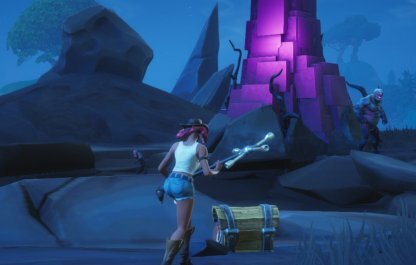 Cube Fragments only spawned on the Battle Royale island during the Fortnitemares event! 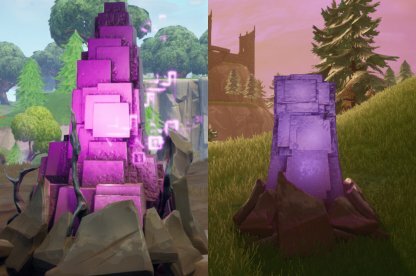 There are 2 types of Cube Fragments: large ones are found in Corrupted Areas and have high HP. Smaller ones spawn randomly and have lower HP. 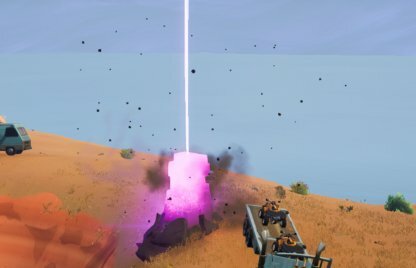 Large Cube Fragments can be spotted in & near Corrupted Areas. These are open areas that don't provide much cover so be sure to come armed & ready for a fight. 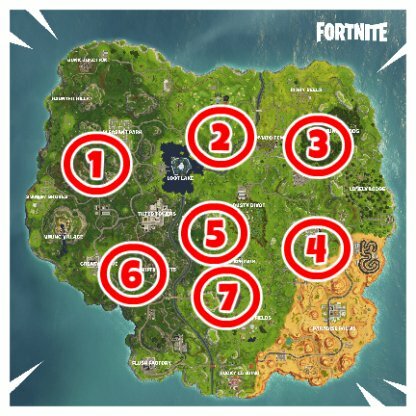 There are 7 Corrupted Areas spread throughought the Battle Royale island so it won't be hard to locate Cube Fragments. Check Out Corrupted Areas Guide! Look out for lightning striking the ground at the beginning of the match. These will mark places where smaller Cube Fragments have randomly spawned. 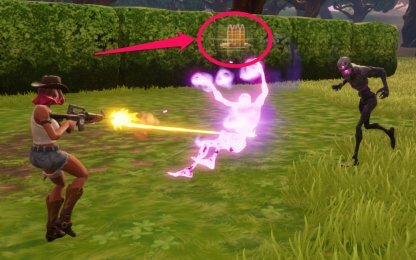 Assault Rifles & SMGs have a high fire rate & do moderate-high damage so it'll be faster & easier to destroy Cube Fragments without being overwhelmed by the number of Cube Monsters. 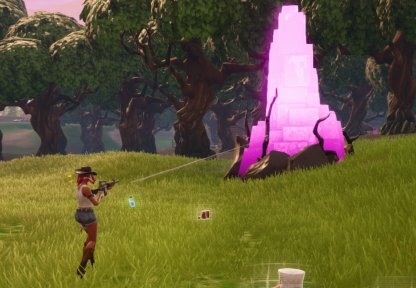 If you've run out of ammo, destroy a couple of Cube Monsters around the fragment and they will eventually drop some for you. The Fiend Hunter Crossbow is very powerful against Cube Monsters but they do no damage to Cube Fragments. Use another weapon instead if you want to destroy the Cube Fragment. Check Out Fiend Hunter Crossbow Stats! Look for smaller Cube Fragments that spawn around the map randomly. These have lower HP compared to the large Cube Fragments in the Corrupted Areas and can be destroyed faster.